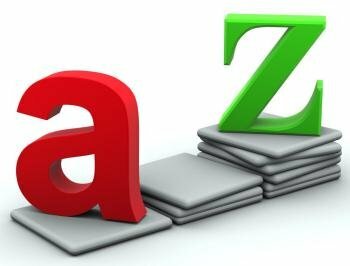 We can help you find out all about your ideal university in the UK, it's as simple as ABC - or should that be A to Z! Simply click on the first initial of your chosen institution and you should be able to read a profile of that institution as well as click on a link straight through to that university's website - yes our A-Z university search is definitely something to shout about! You can also use our Course Search faciity to find a postgraduate program that is tailor-made to suit your needs. Whether you're after full-time or part-time-study, or maybe you want an online option to fit around your everyday responsibilities. All you need to do is fill in the subject you are interested in and any further parameters that could influence your choice - be it modes of study or university location, taught or research-based program - then click on the search button and voila! A selection of options will appear! So, if you know what higher education institution in the United Kingdom you are interested in studying at simply click on our A-Z university search to find out more about it. However, if you are still undecided as to where you want to continue your studies, and you're not sure what details to enter into our Course Search box, read our section on UK universities and university colleges. This gives a useful insight into higher education institutions throughout the United Kingdom and could help to point you in the right direction. Different institutions often specialise in different subjects, especially at postgraduate level, so this could influence your choice more than the location of the institution.